The events behind Kurt Cobain's death as seen through the eyes of Tom Grant, the PI hired by Courtney Love in 1994. 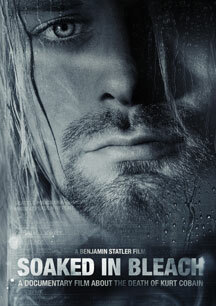 Reveals the events behind Kurt Cobain's death as seen through the eyes of Tom Grant, the private investigator that was hired by Courtney Love in 1994 to track down her missing husband (Kurt Cobain) only days before his deceased body was found at their Seattle home. Cobain's death was ruled a suicide by the police (a reported self-inflicted gunshot wound), but doubts have circulated for twenty years as to the legitimacy of this ruling, especially due to the work of Mr. Grant, a former L.A. County Sheriff's detective, who did his own investigation and determined there was significant empirical and circumstantial evidence to conclude that foul play could very well have occurred. The film develops as a narrative mystery with cinematic re-creations, interviews with key experts and witnesses and the examination of official artifacts from the 1994 case. Over 460,000 likes / followers on Facebook and growing! Over 2,000,000 trailer views online and counting! A sleek procedural docudrama that examines pretty much every conceivable detail of Cobain's death as if it was the Kennedy assassination. A persuasive argument that Cobain's death should be re-investigated. Must see documentary which exposes holes in the official story and presents compelling evidence that can no longer be ignored.